Alanis, I. (2000). Students’ attitudes and perceptions in a two-way bilingual program. The Journal of the Texas Association for Bilingual Education, 6 (1), 23-34. Alecio-Lara, R., Galloway, M., Irby, B. J., Gómez, L., Rodriguez, L. (2004). Two-way immersion programs in Texas, Bilingual Research Journal, 28(1). Baker, C. (2003). Foundations of bilingual education and bilingualism (3rd ed.). Buffalo, NY: Multilingual Matters, Ltd.
Brauer, J. Z. (1997). Learning strategies of native English-speaking fourth grade students in a two-way bilingual education program. Unpublished manuscript, Boston University School of Education. Cabazon, M., Nicoladis, E., & Lambert, W. (1998). Becoming bilingual in the Amigos Two-Way Immersion Program. Santa Cruz, CA: Center for Research on Education, Diversity and Excellence. Christian, D. (1994). Two-way immersion education: Students learning through two languages. The Modern Language Journal, 80(1), 66-76. Christian, D., Montone, C. L., Lindholm, K. J., & Carranza, I. (1997). Profiles in two-way immersion education. Washington, DC. : Center for Applied Linguistics. Cloud, N., Genesee, F., & Hamayan E. (2000). Dual language instruction: A handbook for enriched education. Boston, MA: Heinle & Heinle. Crawford, J. (1993). Bilingual education: History politics theory and practice. 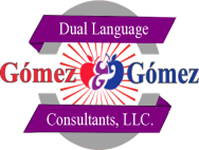 Los Angeles, CA: Bilingual Educational Services. Cummins, J. (1981). The role of primary language development in promoting educational success for language minority students. In J. Cummins (Ed.) Schooling and language minority students A theoretical framework (pp. 3-49). Los Angeles, CA: Evaluation, Dissemination, and Assessment Center, California State University. Freeman, Y., Freeman, D. & Mercuri, S. (2005). Dual language essentials for teachers and administrators. Portsmouth, NH: Heinemann. Genesee, F. (1987). Learning through two languages: Studies of immersion and bilingual education. Rowley, MA: Newbury House. Gómez, L. (2000). Two-way bilingual education: Promoting educational and social change. The Journal of the Texas Association for Bilingual Education, 5 (1), 43-54. Gómez, R. & Gómez, L. (1999). Supporting dual CALP development among second language learners: The two way model revisited. Educational Considerations Journal, 26(2) Spring 1999. Gómez, L. & Ruiz-Escalante, J. (2005). Achieving equity through enrichment bilingual education. In M. Littleton, A. Pankake, & Schroth (EDs.) Administration and Supervision of Special Programs. Debuque, Iowa: Kendall Hunt. Gómez, L., Freeman, Y., & Freeman, D. (2005). Dual language education: A promising 50-50 dual language model. Bilingual Research Journal. May. Howard, E. R., & Christian, D. (2002). Two-way immersion 101: Designing and implementing a two-way immersion education program at the elementary level. Santa Cruz: Center for Research on Education, Diversity & Excellence, University of California, Santa Cruz. Howard, E. R., Olague, N., & Rogers, D. (2003). The dual language program planner: A guide for designing and implementing dual language programs. Santa Cruz: Center for Research on Education, Diversity, and Excellence. Lindholm, K. J. (1999, May). Dual language education: Educational success for students of the new millenium. Paper presented at the Region One Two-Way Bilingual Education Symposium, Edinburg, Texas. Lindholm, K. J. (1992). Two-way bilingual/immersion education: Theory, conceptual issues, and pedagogical implications. In R. V. Padilla, and A. H. Benavides (Eds. ), Critical Perspectives on Bilingual Education Research (pp. 195-220) Tempe, AR: Bilingual Press. Perez, B. (2004). Becoming biliterate: A study of two-way bilingual immersion education. Mahwah, N.J.: Lawrence Earlbaum Associates. Thomas, W. P., & Collier, V. (2002). A national study of school effectiveness for language minority students long term academic achievement. Center for Research on Education, Diversity & Excellence, Santa Cruz, CA. Thomas, W. P., & Collier, V. (1998). School effectiveness for language minority students. Washington, DC: George Washington University, National Clearinghouse for Bilingual Education (NCBE)-Resource Collection Series. Torres-Guzman, M. E. (2002). Dual language programs: Key features and results (No. 14). Washington, D.C.: National Clearinghouse for English Language Acquisition and Language Instruction Educational Program. Valerio, M., Gómez, L., Gómez, R. (2001). Attitudinal shifts of teachers implementing a two-way bilingual education program. The Journal of the Texas Association for Bilingual Education, spring.